October ECN Meeting "A municipal citywide FTTP network for Madison?" November LMAG Meeting "Wisconsin Energy Institute Tour"
Orton will discuss this project in light of the requirements of Wis. Stat. § 66.0422(2)(c), and recent FCC and court decisions regarding "Net Neutrality" and municipal broadband. Bio: Barry M. Orton is an Emeritus Professor from the UW-Madison Liberal Arts and Applied Studies Department. For over 25 years his primary duty at the UW-Madison has been to assist Wisconsin municipalities with broadband issues. He is a veteran consultant to cable television franchising authorities, specializing in telecommunications planning and public opinion research in addition to broadband policy and regulation. Barry has been involved in franchise negotiations, renewals, rate and customer service regulations, and transfers of ownership procedures. Orton has served local government clients in Arizona, California, Florida, Illinois, Iowa, Maryland, Michigan, Missouri, Tennessee, Utah, Vermont, and Wisconsin. Barry Orton was an original founder of the National Association of Telecommunications Officers and Advisors (NATOA), the professional organization of local telecommunications regulators, and for many years was president of NATOA's Wisconsin chapter. In 2005, NATOA elected Orton a Life Member in recognition of his contributions to the organization. In addition, Professor Orton has been active in teaching professionals how to utilize the Internet. Dr Orton's PhD and Masters are from Rutgers in Urban and Regional Planning, and he also has a BS in Business and Economics from Lehigh University. Before joining the UW faculty in 1980, he was on the Rutgers faculty in Journalism and Mass Communications. Their vision is to increase Wisconsin’s national leadership in identifying strategies for clean, efficient, and cost-effective energy; to advance economic growth for the state and the nation; and to continue UW-Madison’s legacy of solving large-scale societal challenges. The Wisconsin Energy Institute building is a centerpiece of future renewable energy systems research at the University of Wisconsin–Madison. The Institute houses cutting-edge research in advanced fuels, renewable energy and energy storage systems. The laboratories, imaging and computational spaces inside the WEI allow scientists, engineers and mathematicians to collaboratively develop future energy systems. 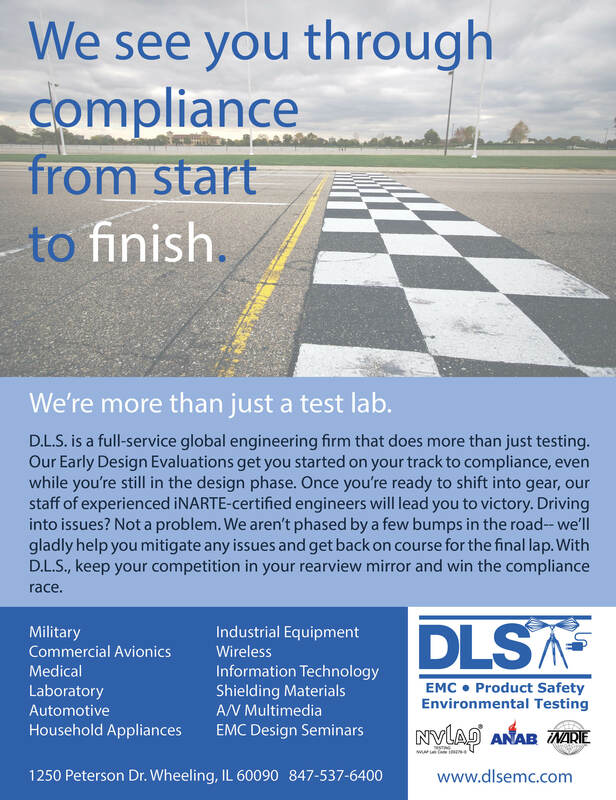 The flexible design includes laboratories that easily adapt to changes in research teams or disciplines giving scientists the capability to adjust labs for their work. The building contains university's first high-bay laboratory for the creation of large-scale integrated energy systems. The WEI is an energy-efficient research facility that reflects the clean energy advances being developed on campus. 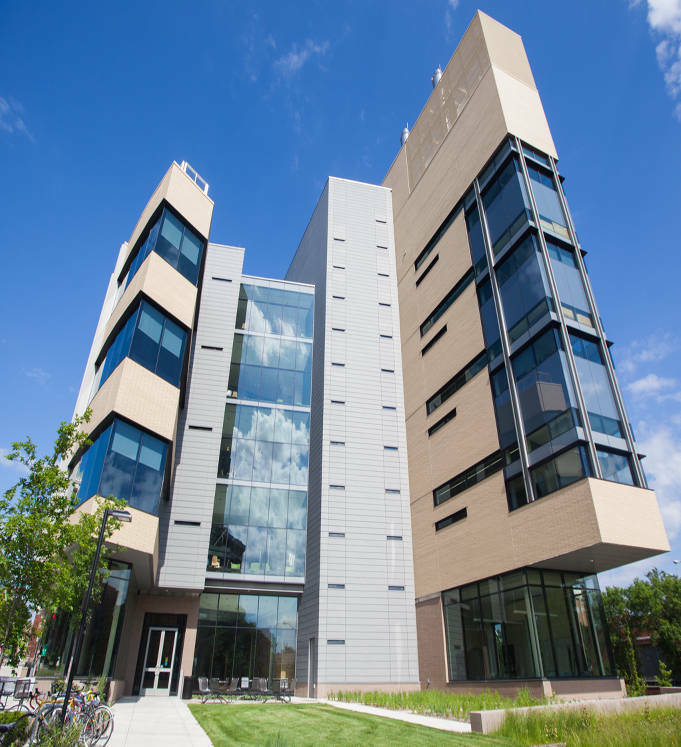 The Wisconsin Energy Institute building has been nominated for and won a number of awards. Tour: We have requested a tour that includes: Energy and architectural features of the building, Electrical and mechanical systems, Laboratory features, Human interface features, Research activities and resources, Educational activities and resources, Community outreach programs, WEI financial support. The date is tentative. Please look for a message entitled "Engage industry in high-impact research collaborations" soon detailing the final event details. 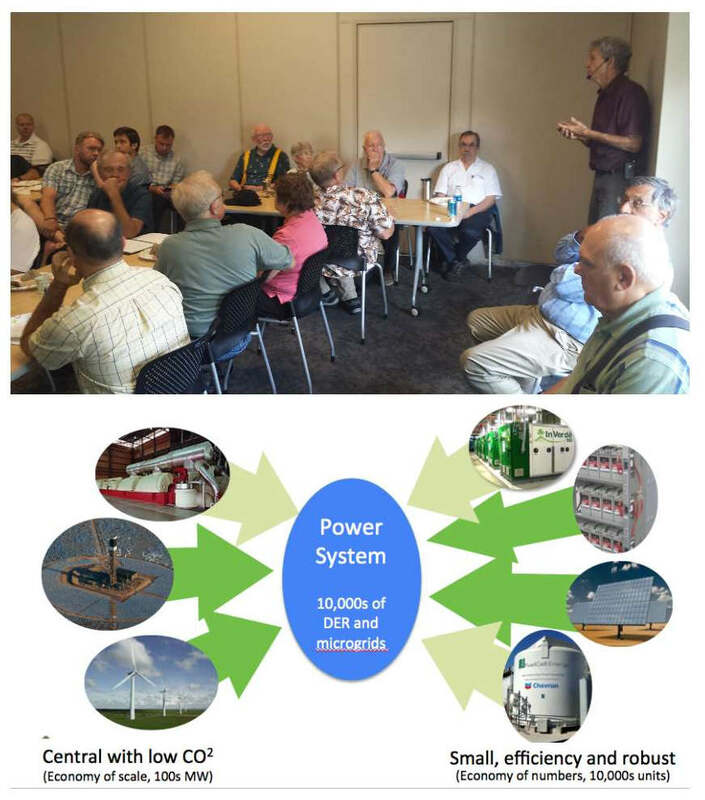 Section/LMAG Meeting: Professor Lasseter gave an excellent and well attended talk on the importance of Microgrids in the future of the electrical generation and transmission infrastructure. His talk was recorded and can be viewed here. Note that the you should skip the first five minutes of the recorded talk -- it was not properly trimmed. October Entrepreneurs and Consultants Meeting: Professor Barry Orton will be discussing the City of Madison's study for the proposed City Fiber Broadband Network. Dr. Orton chaired the committee for the City of Madison investigating options for the City network. Now that a report has been published, attend and ask Dr. Orton your questions. He has been a frequent contributor the news outlets covering the topic of communications infrastructure. Bring a lunch to eat. 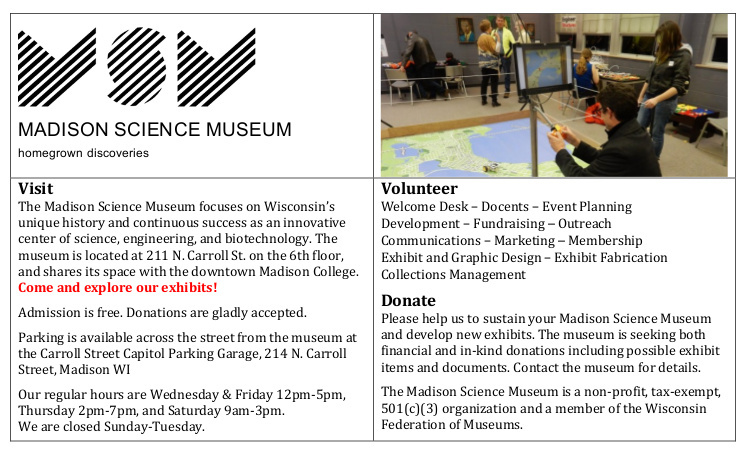 November LMAG Meeting: A tentative tour of the Wisconsin Energy Institute is planned, but the final schedule is not firmed up. Stay tuned for an announcement of the final schedule. Voting closes on October 4th. This year's vote is particularly important because of a proposed change in the bylaws. The proposed amendment has generated a lot of controversy. At least four of the IEEE Societies (PES, PELS, RAS, and CS) have sent messages asking members to reject the amendment. Please review the issues and VOTE. Editor's Note: I voted on-line and almost missed the vote on the amendment. It is the first entry you vote on, but is "hidden" in the instructions. You can access the on-line ballot and learn about the candidate's positions by following this voting link. The process also lets you review candidate's statements prior to voting for them. You will need an IEEE login to vote on-line. You can access your account (or create on if you do not yet have one) by visiting this IEEE account page.